Many people do not realise that there is a difference between a plumber and a heating engineer. Although there are some areas where the two roles overlap, there are specific jobs which you can only use a heating engineer for. The word ‘plumber’ comes the Latin word ‘plumbum’ which means lead, because in Roman times a plumber was someone who worked with lead pipes. Since the 1930s domestic pipes have mainly been made from copper and more recently plastic, but the name has stuck. Plumbers work with most things in the home which involve water. For example, your drains, your taps, your dishwasher, washing machine and bathroom along with any related water pipes. Drainage, irrigation and sewage systems (installation and maintenance). As the name suggests, a heating engineer is someone who can install, service, repair or replace elements of your heating system. This includes boilers, radiators, pipework, thermostat controls, hot water cylinders and all the related fixtures and fittings. A gas heating engineer is required by law to be on the Gas Safe register which is the official list of people and businesses who are legally allowed to work with gas boilers, cookers, fires and all other gas appliances. An oil heating engineer should be registered with OFTEC (Oil Fired Technical Association). Some heating engineers are only qualified to work with certain types of appliance and may not necessarily be qualified to work in both commercial and domestic settings. The reason that there is some confusion about the difference between the two trades is that it’s possible for a tradesperson to be qualified to perform both services. A plumber who is Gas Safe registered will be able to work on both your plumbing and heating, but a plumber who is not Gas Safe registered would be breaking the law if they installed, fixed or even a moved a gas appliance, supply or fitting. So a plumber can handle anything water related in your home as long as the gas supply is not involved, but your heating system can only be attended to by someone with the correct qualifications. And, even if someone is Gas Safe registered, you need to be sure they are qualified to work with the right type of gas appliance. A Gas Safe plumber may be able to work on a gas boiler but not a gas stove, for example. A gas appliance which is faulty, damaged or incorrectly installed may leak gas which can cause fires or even explosions. A distinctive odour has been added to the gas to help you recognise a leak so you can contact a Gas Safe registered engineer to investigate. Faulty gas appliances can produce a toxic gas called carbon monoxide (CO). When inhaled it replaces oxygen in your bloodstream leading to the loss of cells and body tissue. Just a small level of exposure to it is enough to cause headaches, dizziness, nausea, breathlessness or loss of consciousness, and severe exposure can lead to brain damage, paralysis or even death. Before hiring anyone to work on your boiler and / or heating system you need to check that they are Gas Safe registered. Gas Safe replaced CORGI in 2009. By law all gas businesses in the UK, Isle of Man and Guernsey must be on the register having proved that they have the knowledge and skills to work with gas safely and competently. Each engineer is given a Gas Safe ID card with a unique registration number which shows the engineer’s photo, the gas jobs he or she is qualified to perform, start and expiry dates, a security hologram and if they are affiliated with a business. You can check if an engineer or business is Gas Safe registered on the Gas Safe website by entering their business registration number or trading name. It’s also very important to ask the engineer to show you their ID card when they arrive at your home to carry out the work. If you believe someone is carrying out illegal work on gas appliances you can report them to the Gas Safe register. If you need to find a Gas Safe registered heating engineer to service, repair or replace your boiler and / or central heating, you can visit Boiler Guide. 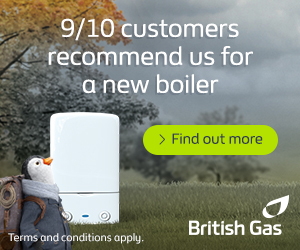 All you need to do is place a quick enquiry via the online form and you’ll receive up to 3, free no-obligation quotes from Gas Safe engineers in your area. You can compare the prices as well as their customer satisfaction ratings and choose the best quote for you.